"How did Pluto Get Kicked out of the Planet Club and What Are We Discovering There Now?" In this illustrated, non-technical talk by Bay Area public astronomer, Andrew Fraknoi, you will hear the behind-the-scenes story of how Pluto got “demoted” and why its story turned out OK nevertheless. In addition, you will find out the latest results, and see beautiful color images, from the New Horizons spacecraft that flew by the “double planet” Pluto-Charon in 2015 and gave us close-up views (and a new understanding) of both worlds. You will also hear about Pluto’s “cousins” -- the other intriguing dwarf planets that lie beyond Neptune and open up a whole new realm in our solar system. 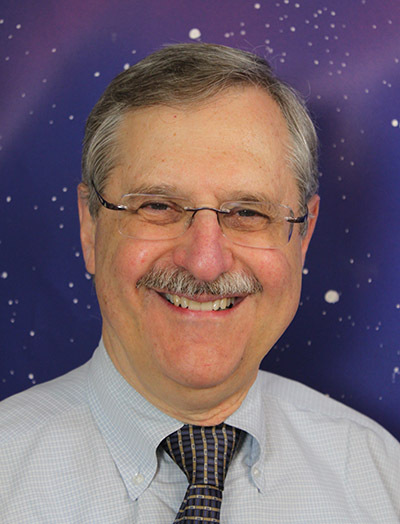 Andrew Fraknoi is the Emeritus Chair of the Astronomy Department at Foothill College, and a senior educator for the Astronomical Society of the Pacific. Since retiring in Summer 2017, he has been teaching astronomy courses for seniors at the Fromm Program at the University of San Francisco and the OLLI Program at SF State. He is Vice-chair of the Lick Observatory Council, and is on the Board of Trustees of the SETI Institute. A frequent guest on Bay Area radio stations and NPR, Fraknoi is the lead author of Astronomy, a free, open-source introductory textbook, published by the nonprofit OpenStax project. He is also the author of several books for teachers, two books for children, and two stories published in science fiction anthologies. He has received the AAS Education Prize, the AIP Gemant Award, and the NSTA Faraday Prize for the popularization of science. The International Astronomical Union has named asteroid 4859 Asteroid Fraknoi to recognize his contributions to the public understanding of astronomy.